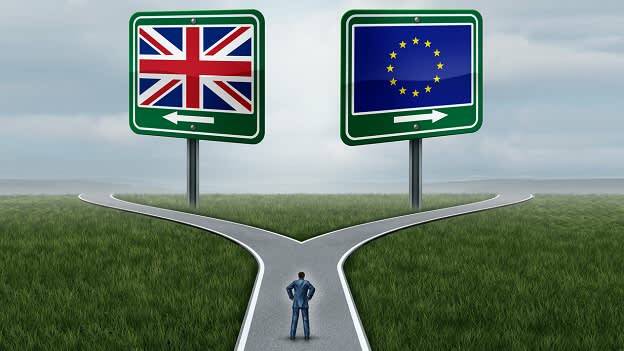 Last week we wrote an article about the consequences that Brexit can have on the job dynamics; however, it is also true that the consequences of many of the assumptions will also depend on the final detailing of the deal between the UK and EU that follows. In this article, we deep dive on the consequences that Brexit could have on the competitiveness of businesses in the UK (particularly London) if immigration from the EU is tightened. Last June, Gregor Irwin from the Global Counsel published a detailed report on the potential consequences of Brexit across different parameters. Here are the main effects that Brexit will have on immigration. Irwin refers to immigration as a “fraught political issue in the UK both because the costs and benefits are not distributed evenly and as perceptions have become disconnected with reality, partly due to hostile media coverage.” In this view, if the Brexit arrangements tighten immigration from EU, it will have deeper consequences on talent availability and competitiveness. 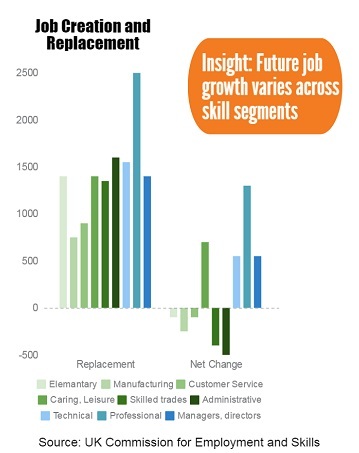 As the UK Commission indicates, the industries that will require most of the new addition of jobs will be skilled trades, administrative and manufacturing. Many of these jobs today are being filled by 3 million Europeans, and if immigration laws are tightened, it will create a vacuum on the access to skills and talent for these industries. The Global Counsel report also refers to the loss of economic contribution from Europeans employed in the UK. 79% of Europeans that live in the UK have a job (versus 65% of British) and 25% have a degree (versus 20% of British) and belong to a younger age group (33 years is the average age of a European resident in the UK versus 40 years for a British). This makes significant net contributors by European migrants to public finances in the UK. 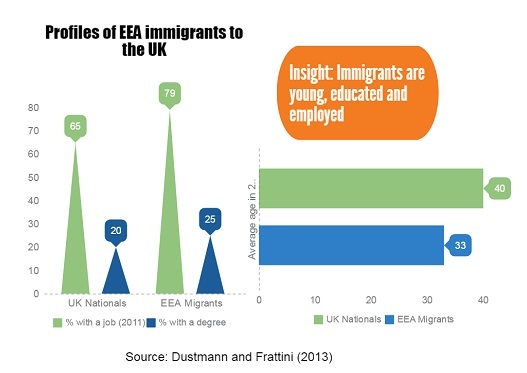 European residents in the UK are younger, more skilled and in more numbers than the British. The Global Council report reveals that on an average, migrants have contributed 34% more in fiscal terms to the UK than they have taken out, or £22.1bn in total in 2011. 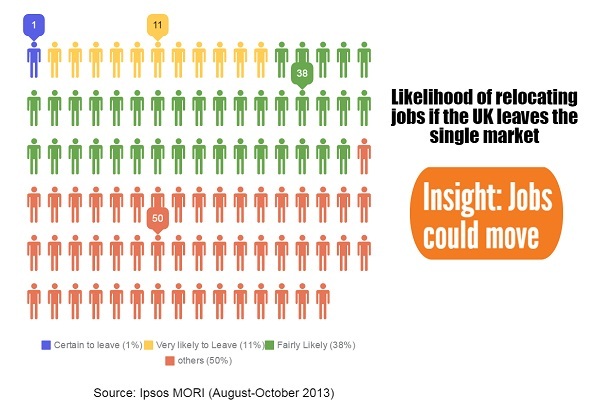 This should be an area of concern especially because in a recent poll conducted by IPSOS, almost 50% of EU migrants in the UK expressed that they were likely to relocate outside of the UK post Brexit. It is thus pertinent to anticipate the impact on the rest of Europe? Besides the loss of remittance for some of the countries and the expected worry of increased hostility towards higher European migration of talent – from talent perspective, UK has a lot more to lose than EU.